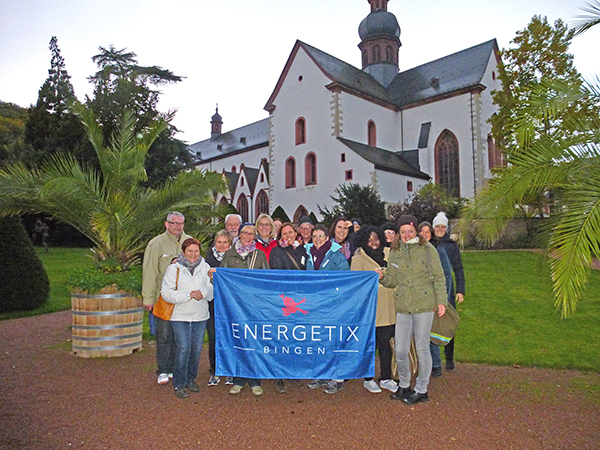 Newcomers were able to take part in an exclusive training trip to ENERGETIX’s headquarters in Bingen on 15 and 16 October. 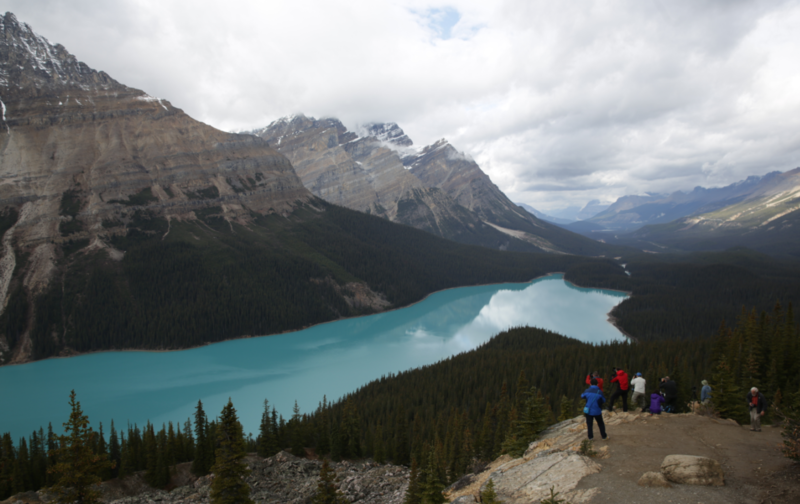 The stunning competition training trip to Canada: this way to the photos! 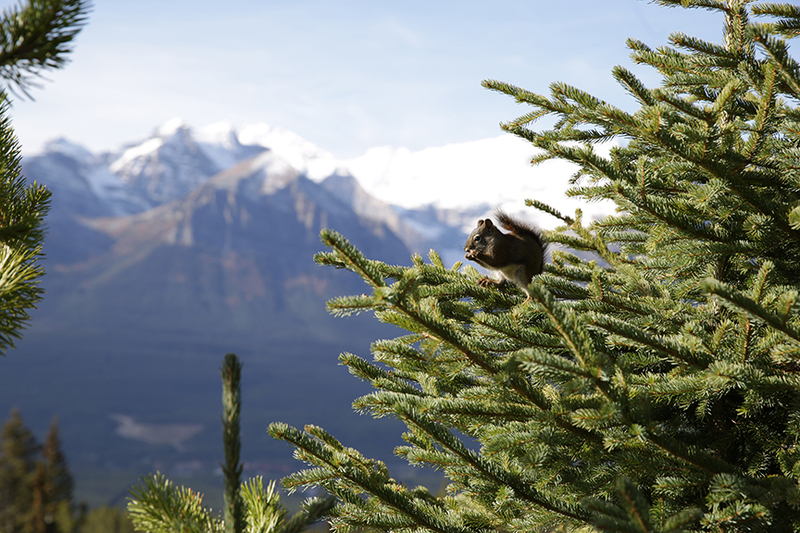 A happy group of top business partners fell “Under Nature’s Spell” from 4 to 10 October! 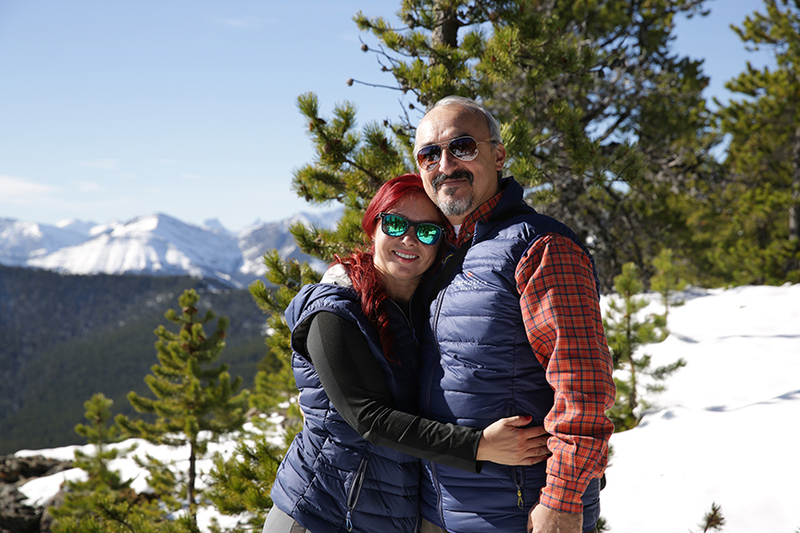 The Rocky Mountains, glaciers, cowboy hats: you’ll find the best photos from the trip in this Flickr on-line album! High-ranking visitor from Berlin. 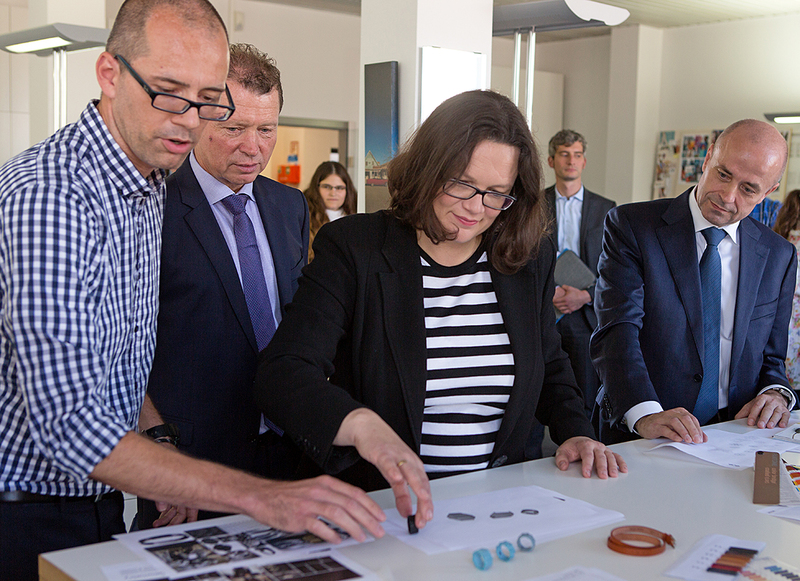 Federal Minister, Andrea Nahles, visited ENERGETIX Bingen! 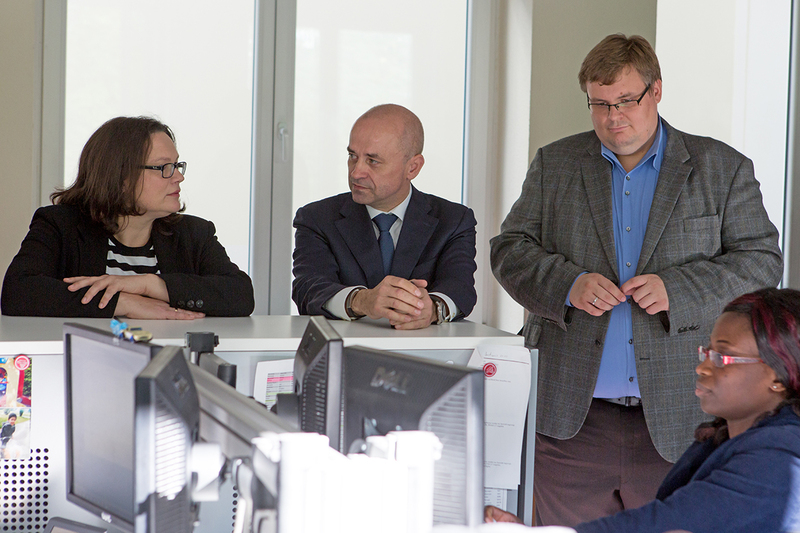 Member of parliament arrives at ENERGETIX on 9 October 2015, on time and in good spirits. 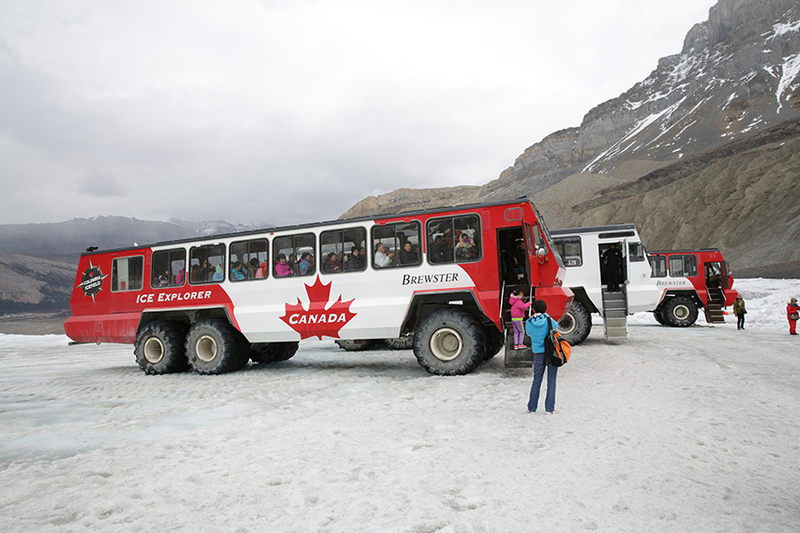 After being welcomed by Roland Förster, the company’s Sole Shareholder and CEO, and a short tour of its departments, the politician – who was always accompanied by several local politicians, press representatives and a television crew – took the time for an intensive exchange of ideas. 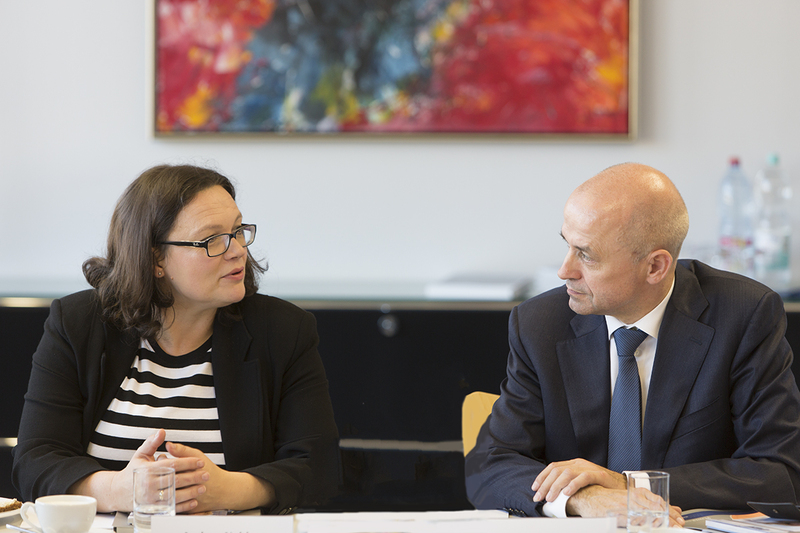 Andrea Nahles would not be a good politician if she didn’t shift attention to the topic that is currently particularly close to her heart: refugees – and more specifically – their rapid incorporation into the labour market for faster integration. How can government help German companies to – rapidly – improve the refugees’ situation on the labour market! These and other interesting questions were not avoided and the federal minister left with the promise that ENERGETIX would, if the political framework conditions permitted, give young refugees the opportunity to start their working life – and thus integration – with practical training at ENERGETIX. Besides welcoming the high proportion of women, particularly in executive roles, the Federal Minister for Labour and Social Affairs was especially happy to see the large number of – highly qualified – employees from immigrant backgrounds demonstrating that integration is a matter of course at ENERGETIX Bingen! It was then time for her next appointment in Mainz where she was to discuss the topic of a “good working life” with citizens (“Gut leben, gut arbeiten” (“Living Well, Working Well”)). She was probably able to take several positive ideas from Bingen with her and contribute them to the discussion! 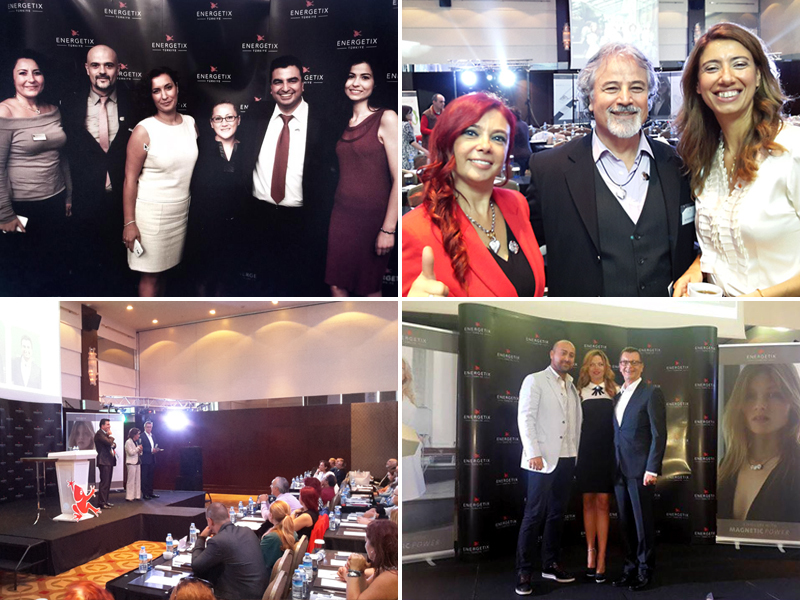 ENERGETIX Türkiye’s Catalogue Launch took place in the fashion centre of Istanbul on 3 October 2015. The new collection for 2016 was presented following the event’s official opening by Tolga Deliktaş, head of ENERGETIX in Turkey, and a presentation by Dr Thiel, the COO. Dr Thiel expressed his deep gratitude and appreciation – also on behalf of Roland Förster, Sole Shareholder and CEO, and Alexander Link, CIO – to Mr Deliktaş, his team and all the business partners in Turkey! The day was filled with interesting presentations: successful business partners reported their experiences gained from working with their teams, the use of social media in sales and the winning of new business partners. The social aspects of team management were also illuminated and experiences with magnetic jewellery were exchanged.